My great grandmother Bridget Naughton Dowd was an identical twin. My father said he could not tell them apart. My cousin, Erin O’Donnell send me this picture of them. I do not know for certain, which is my great grandmother, Bridget Dowd. The first mystery; I have a records of her birth on 25 March 1868 in Ireland with father of Thomas Naughton and mother Catherine Ward. I have found no record for her twin, whom I have deduced with the name of Catherine. I found a record of their older sister Mary Naughton, born 19 February 1865, with the same parents. My question, one of many, where is Catherine’s birth listing and why is she not with Bridget. After the Naughton girls I no longer find any other children with Catherine Ward as mother. Did Catherine Ward die in childbirth? On Bridget’s death certificate her father is Thomas Naughton and mother Nora Nee, is Nora Nee a stepmother? There were a few other Naughton women who were sisters, Margaret and Norah with Thomas as their father. I have yet to find the twin Catherine, or have I? While perusing the Death Certificates I came across a record for a married Katherine Naughton, which I had discarded before because she was married. This Katherine had married a man named Patrick Naughton, Patrick had parents that were different than Katherine. Her birth year is 1870, just off two years from Bridget, her father is Thomas Naughton but mother is Nora Mallay. There seems to be a discrepancy of the mother all over records. What I need to do is send for the possible marriage record and records from the Baptism of their children. That will be a start. Two weeks ago my daughter was on vacation and we took a two day trip to Central Pennsylvania; it was a genealogical fact finding mission. The trip was only about 2 1/2 hours so it is an easy do again trip. From the geological center of PA to any where else in the state is about that amount in driving time. Not much was gleaned but we did have fun. TYRONE HISTORICAL SOCIETY was the reason for the trip. 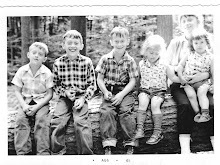 I have been searching for the Coleman and Saylor Families and the dates for them are the Colonial Era in Central PA. I did not find very much but we had about forty five minutes before the Historical Society opened so we went to see the land in which my daughters ancestors lived. We took an exit east at Tyrone Pennsylvania and a few miles past the gap in the mountains we can up a vast valley that was essentially flat. I regret not taking pictures but it was off and on rainy that day. After seeing the area I was amazed and thought no wonder they settled here because it was absolutely beautiful. We then had a little side trip to SPRUCE CREEK PA which was on a poorly maintained, windy, and very narrow road. Somehow I think we did not go far enough to see where the actual settlement and there was no GPS access in this valley. Emily thought it looked like a good place to have a horror movie. It seems that the Coleman line settled here initially in their western migration. I have read a few articles here and the trout fishing is suppose to be the best in the state. After that failed mission the town of Warriors Mark was on our radar. We now had to climb Tussey or Bald Eagle Mountain (I am never sure about the names because it seems to be which old map you reading as to which mountain you are on) Anyway, it is in the Allegheny Mountains which is part of the Appalachian chain. Warriors Mark is a small town on the escarpment of the mountain. The sign stated that the town was founded in 1768, that is a long time ago, while it was still the wilderness and part of William Pens' colony. We did not really find anything here since I did not research the particulars and just took a spontaneous drive to get there.